"Leaders in Professional & Executive CV Writing"
Have Your CV Reviewed For Free And Improve Your Career Prospects With A Winning CV Today! ﻿Does Your CV Tick All The Right boxes?﻿ Having your CV written by a Professional CV Writer is probably one of the best investments you can make to enhance your career in today's competitive job market. 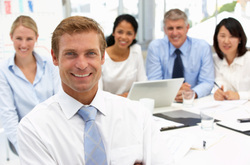 ﻿Who Are Our Clients?﻿ We work extensively with managers and executives from a wide array of industries seeking to transition into their next role. Whether you are a Project or Programme Manager, Middle Manager or Executive, we use our expertise to prepare highly targeted CVs that are keyword optimised and written to market your achievements. In short, we significantly increase the calls that you receive from recruiters and employers, enabling you to convert those calls into interviews! More Than Just CV Writers! Lets face it, there's a plethora of companies that can simply rewrite the words that exist within your CV or use templates to recreate a new CV for you. Our clients require much more than this basic approach; we are expert content writers, that means we use our knowledge and understanding of your sector to create a bespoke CV that is not only unique to you, but includes content that is highly valuable and relevant for the roles that you wish to apply to. Our Consultative Approach Having your CV written professionally is just the first step in securing your chosen position, but it is not the only step. Many of our clients have been highly successful throughout their careers and reach a juncture where they need objectivity to help identify the kind of roles that they should be targeting, in order to take their career to the next level. Our Consultants are experts in career management and are here to help you expand your thoughts across a variety of positions, which are compatible with your key competencies and achievements; after all, a great looking CV is only effective if it is targeted for the right kind of positions. Our CV Writers are 100% committed to delivering the highest level of service to you. It is for this reason that we offer a free consultation to discuss your career objectives as part of our professional CV writing service. 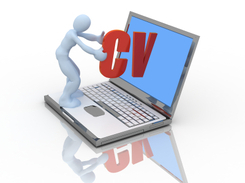 Contact us today to find out how we can help you or email your CV to ﻿cvs@thecvpeople.co.uk﻿ to request a free CV review.